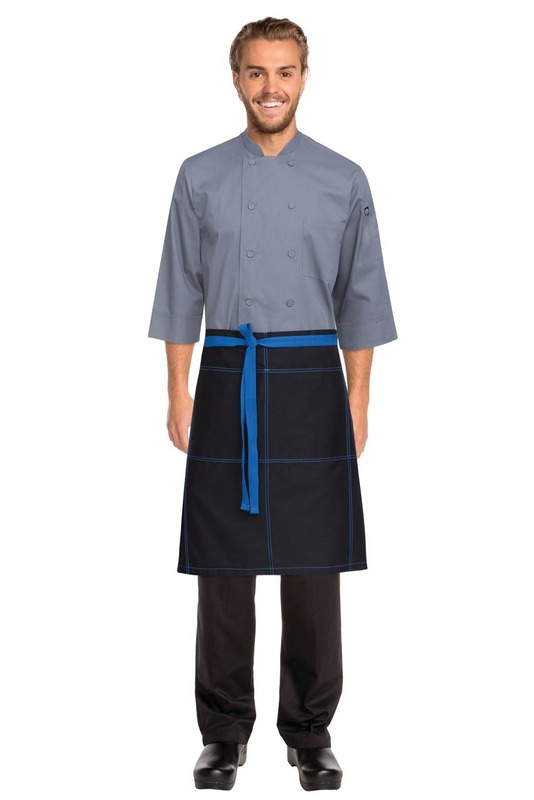 Our new wide half apron is constructed from a black poly/cotton fabric with reinforced stress points for added durability. Featuring blue contrast ties and blue topstitching, this cool apron also includes grommets for tie attachments and roomy front pockets. 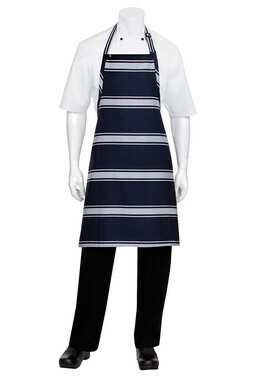 For a unique look and more flexibility, extra long blue ties allow for the apron to tie in the front or back. 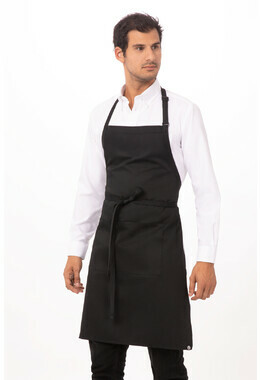 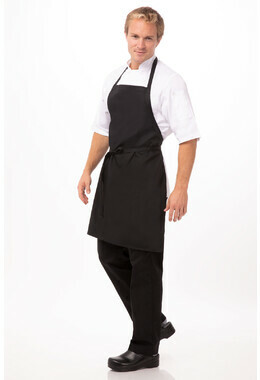 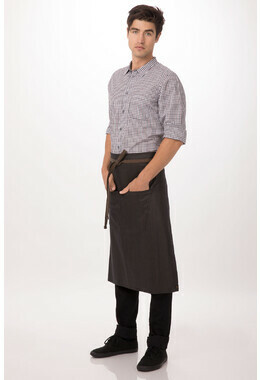 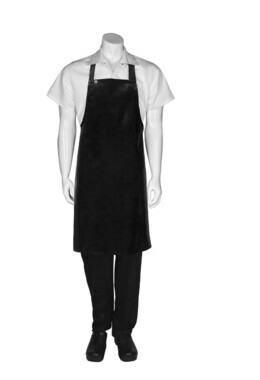 The wide half apron is also available in black with grey stitching or black with red stitching and size 61cmL x 81cmW.